Allgemeine Beschreibung : Cadillac’s V16 range first appeared in 1930, and after initially strong sales, production had dwindled as the American economy struggled and such lavish motorcars were generally frowned upon by even the wealthiest of buyers. However, in spite of its costly nature, the V16 still served its role as a halo model for Cadillac, so it remained available through the decade. For the 1938 model year, Cadillac completely redesigned the car with an all new engine and body design. Displacing 431 cubic inches, the new V16 was a more conventional design, with a simple side-valve configuration in a rather unusual 135-degree cylinder bank angle. The engine produced 185 horsepower (about 10 more than the old unit) and weighed a staggering 250 pounds less than the original V16. It was also significantly cheaper for Cadillac to produce, and therefore more profitable. As America was recovering from the Great Depression, this proved the right move for Cadillac and for buyers who wanted the prestige of the famous V16, yet in a slightly more affordable package. 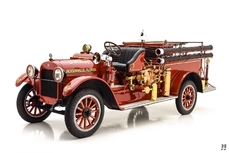 Sixteen cylinder Series 90 models rode on the same basic chassis and 141 inch wheelbase as the V8 Series 75, which allowed for sharing of bodies from the Fleetwood and Fisher catalog. 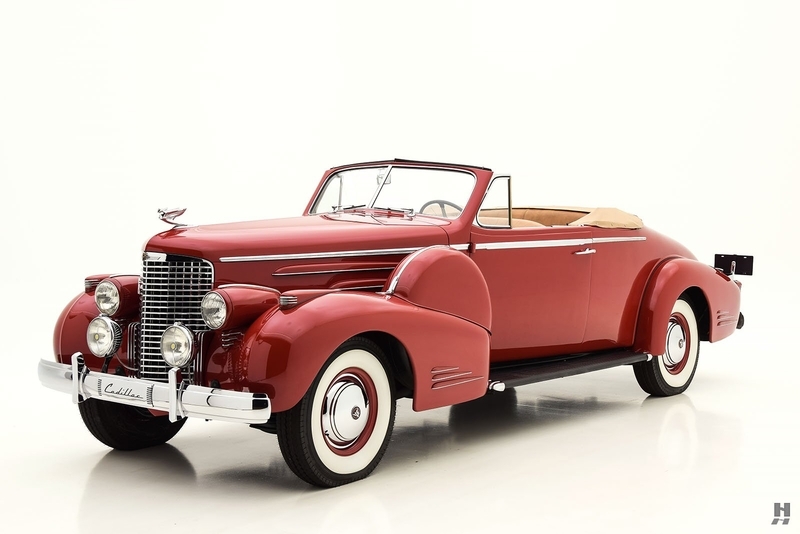 Twelve catalog body styles were available for the 1938-1939 model years, all designed under the guidance of the masterful Bill Mitchell, protégé of Harley Earl. Of those bodies, one of the rarest and most expensive was Style Number 9067, the stunning Convertible Coupe by Fleetwood. The streamline era was taking full effect by 1938, with the front fenders and radiator grille becoming fully enveloped into one. Headlights were still separately mounted but were soon to be fully integrated into the fenders as well. Dual sidemount spares were still fitted, but concealed beneath painted steel covers. Stylistically, the 1938 Cadillac bridged the gap between the traditional classic era and the post-war streamlined style. The Convertible coupe in particular, has incredible presence; it is a large car, with its two-seat body style stretched dramatically over the 141-inch wheelbase chassis. Just ten examples were built in 1938 making it among the rarest and most desirable of the series. 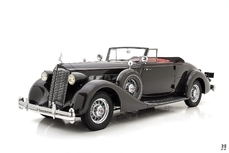 This beautiful Cadillac Series 90 is one of those ten original Convertible Coupes bodied by Fleetwood in 1938. 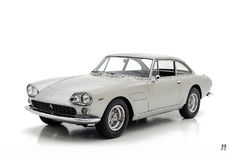 It is a very attractive car wearing a high-quality older restoration that has recently been sorted for reliable and enjoyable touring. Original build sheets indicate this car (engine number 5270250) was first delivered to Rochester New York, painted in Moleskin Gray as indicated on both the build sheet and the original Fleetwood trim tag. 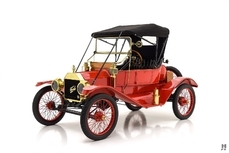 By the 1960s the car had found its way to Pennsylvania when it was discovered along the side of the PA Turnpike by noted early CCCA member Ted Johnson. 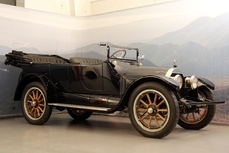 Mr. Johnson rescued the Cadillac from the roadside and had it restored by George Holman of Massachusetts. 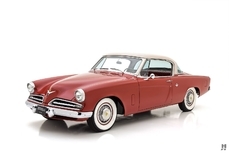 Mr. Holman subsequently purchased the car, eventually trading it to Rick Carroll, a well-known collector from Jensen Beach, Florida. 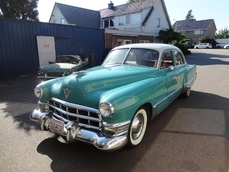 Today, this beautiful Cadillac presents in very good condition, still wearing its older restoration well. The bright red paint suits the sporting nature of the body quite well, and while it does show extensive cracking in the lacquer finish, it remains glossy and attractive. The body fit is good, and the panels very straight, showing the car was properly restored and carefully tended to since. Chrome trim remains generally very good with a few areas of minor pitting or bubbling found here and there, but overall still glossy and attractive. Bumpers are straight and gorgeous and the lovely cast grille shows only the slightest of age. A pair of Guide Super Ray driving lamps are fitted and the car retains its correct original headlamp lenses. On the whole, it is a lovely, imposing car that turns heads and while it shows its age in places, remains quite attractive overall. Inside, the brown leather shows just some minor creasing and slight cracking, with some wear evident around the edges of the front seats. 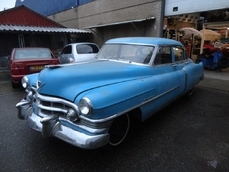 It retains a pleasing patina that does not detract from the inviting, usable nature of this Cadillac. Door panels and kick panels are in excellent condition and pair of jump seats are fitted in the rear for occasional rear passengers. The woodgrain dash is beautifully preserved with excellent finish and lovely original instruments. Paint and chrome finishes inside are very good, as is the original Banjo-style steering wheel. Cadillac’s 431 cubic inch L-head V16 is very nicely presented, with correct type finishes and paint. The presentation is excellent and the engine has benefitted from recent servicing and sorting. Some of the work performed in the last few years includes a full fuel system flush with a new fuel tank, rebuilt shock absorbers, new front springs, new wide whitewall tires, rebuilt brake hydraulics, rebuilt carburetor and a full chassis service with cleaned and greased lubrication points. It now performs beautifully and is a delight to drive, especially given the 185 horsepower output and silken delivery from the V16. 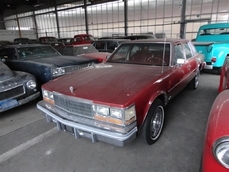 An approved CCCA Full Classic, this exceedingly rare and imposing Series 90 is an excellent candidate for CARavan touring or for simply wafting along your favorite roads, enjoying the effortless power and impeccable style of this beautiful Cadillac. 1938 Cadillac Other Convertible Coupe is listed verkauft on ClassicDigest in St. Louis by Mark Hyman for $265000. 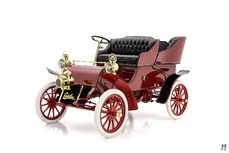 Cadillac wurde 1902 von der Henry-Ford-Gesellschaft von Henry Leland gegründet und benannt das Unternehmen nach Antoine de La Mothe Laumet, Sieur de Cadillac, der Gründer von Detroit, später zu "Automotive Hauptstadt der USA" zu werden. Nach wandte sich der Krieg Cadillac Schwerpunkt auf auffällige Desing Peaking im Jahr 1959, als sie das Modell eingeführt bekannt für seine 'Flash Gordon-isque "Heckflossen.